Melissa’s endeavour in popularizing books and the habit of reading impressed me. Ours is an age preoccupied with the audio-visual media. Reading has long lost its pride of place in our list of leisure-time priorities. If we do not read, we are missing a great opportunity of having ‘a conversation with the best men, of best centuries’, as René Descartes said. Yet, readers these days are solitary creatures—they do not find fellow bibliophiles easily enough to share thoughts and ideas on books and reading. How do we make reading a popular habit then? 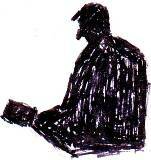 Melissa at LITERARY BOOK GIFTS offers T-shirts for men and women, tote bags, backpacks etc. and each of these are created to remind people of great books, authors or poets. Melissa’s products are intended to inspire and stimulate people to read, to go back to classical fiction or poetry. Each of her offerings is a great gift idea for book lovers and offers another option when you are looking for gift items. 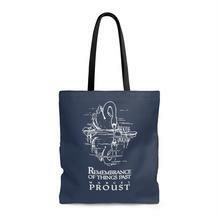 Visit LITERARY BOOK GIFTS and I’m sure you will find something you like: a T-shirt or a backpack that relates to your all-time favourite books or authors. 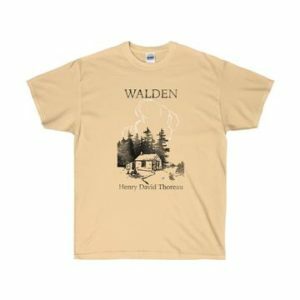 I liked her Walden T-shirt, H.D. Thoreau’s classic being a personal favourite. Spread the word, give books a chance! For readers of this site, Melissa has created a promo code BOOKREVIEWBOOK20 which is good for 20% off anything in the store, no minimum, and can be used unlimited times. Thank you, Melissa!